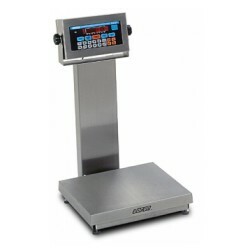 Store, recall, and weigh with the Doran Scales APS2200CW database. This internal database will store up to 250 Checkweigh Tolerances, Tare Weights, Accumulation and Counter totals, and six-digit Product IDs. Includes a 20" Tall Atlas Column. Four different base sizes 15" x 15", 18" x 18", 18" x 24", or 24" x 24". Store, recall, and weigh with the APS2200CW built-in database! This internal database will store up to 250 Checkweigh Tolerances, Tare Weights, Accumulation and Counter totals, and six-digit Product IDs. Recalling a product from the database is as simple as pressing the PROD button and entering the product ID. Adding new products or maintaining existing products is quickly accomplished through the keypad or through the optional CheckWay Windows™-compatible software. The data is password-protected to ensure that your products are checkweighed properly every time. Handwritten production records to track weighments or accumulated weight are a thing of the past with the APS2200CW Checkweigher. The counter memory stores the number of weighments. Recalling the accumulated weight at the end of a pallet load of product or at the end of the shift is as simple as pushing a button. It’s never been easier to upload, download, and maintain checkweigh tolerances than it is now with CheckWay. This optional software is designed for use with the APS2200CW Checkweigher's internal database through standard or optional communication choices. Simply enter the product ID, Description field, Checkweigh parameters, and Tare weights, and then select the scale(s) to upload to or download from. Scale setup files are saved on the PC, so configuring several scales with identical data is easy and accurate. 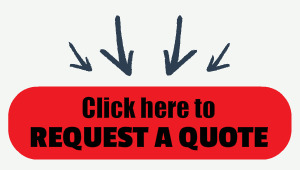 Programming hundreds of product parameters takes minutes instead of hours. Engineered to thrive in the harshest of working environments, the Model APS2200CW features the Guardian Harsh Environment Protection System. All components of this system act as your defense against the damaging effects of shock, water, abuse, and other environmental factors that can cause costly repairs and production downtime. The Model APS2200CW Series includes a 20"-tall column, but if additional height is needed, a 30"-tall column is available. Four different base sizes are available: 15" x 15", 18" x 18", 18" x 24", or 24" x 24". No, that's not a typo! Our unique "Quad-Spring" design protects the sensitive load cell from shock and overload damage. Protected to a maximum of ten times the base load rating, this design sets the new industry standard - a feature available only from Doran. Take a "peek under the hood" to see what's inside our DXL scale base.